When it gets chilly around here I like to have something to throw on just to keep the chill off. AND, if it is cute and trendy, even better. 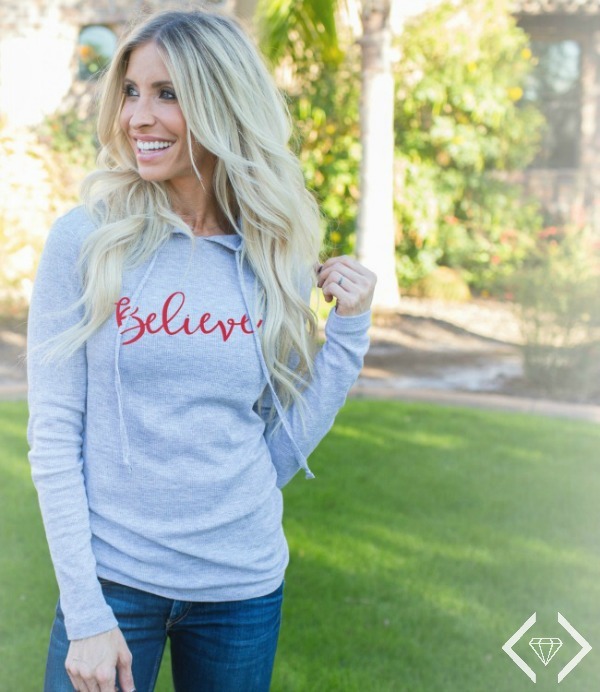 Heidi Powell’s Believe Thermal Hoodie is just $22.77 & FREE SHIPPING w/ Code BELIEVE from Cents of Style. The three colors are the perfect neutral for the season. You can wear this darling thermal hoodie while you are hanging up your Christmas lights, out caroling, or handing out gifts to your family and friends. All the while staying warm and cozy. 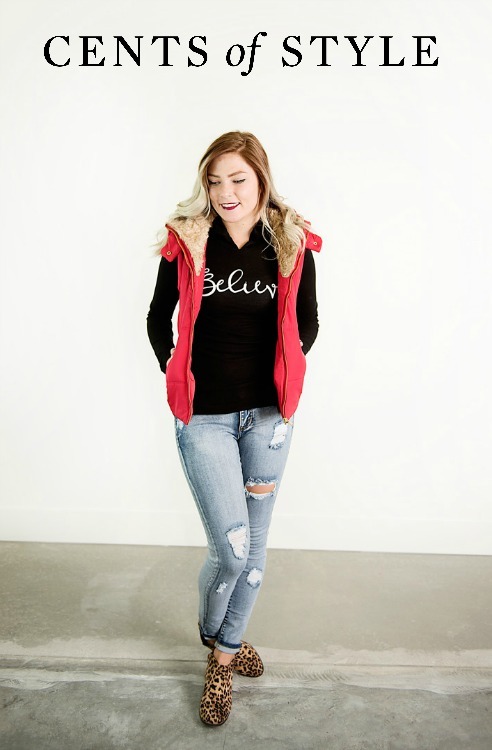 Heidi Powell’s Believe Thermal Hoodie is the ideal accessory as well. Wear it under a vest, or over a turtleneck. With jeans, skinny jeans or leggings, it is sure to impress. Dress it up or down. You will enjoy all three colors. And at such a great deal…Why not buy some as Christmas gifts, too? I mean, for $22.77 & FREE SHIPPING w/ Code BELIEVE, you can’t get the quality or style better than that. 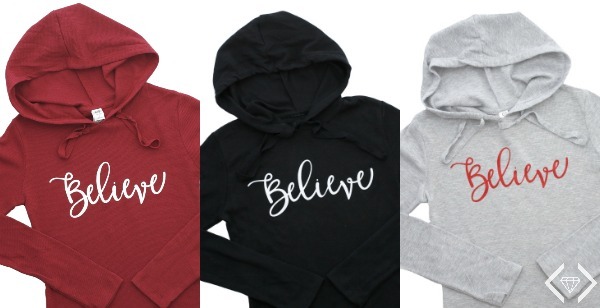 Cents of Style will have the “Believe” thermal hoodie at this price through next Wednesday, November 30th. So, don’t miss out. Buy one for yourself, your daughter, your Mom, your friends and sisters. You could even all show up at a party as twins, or coordinated family members. Wouldn’t that be fun? My own daughters and daughter-in-laws would enjoy that idea. That is my Fashion over Fifty tip for the day. I have more to come next week for Cyber Monday, so stay connected with me right here on my blog, Facebook and Instagram. It is always a treat to have you here. Thanks for joining me for the Fashion Over Fifty Thermal Sweatshirt blog post and sale.